Even though hectic work and school schedules get in the way of sit-down dinners every night, it’s important to remember to make it a priority to get together around the kitchen table almost every day, even if it is just for five minutes at breakfast as you all enjoy a Reliv shake. 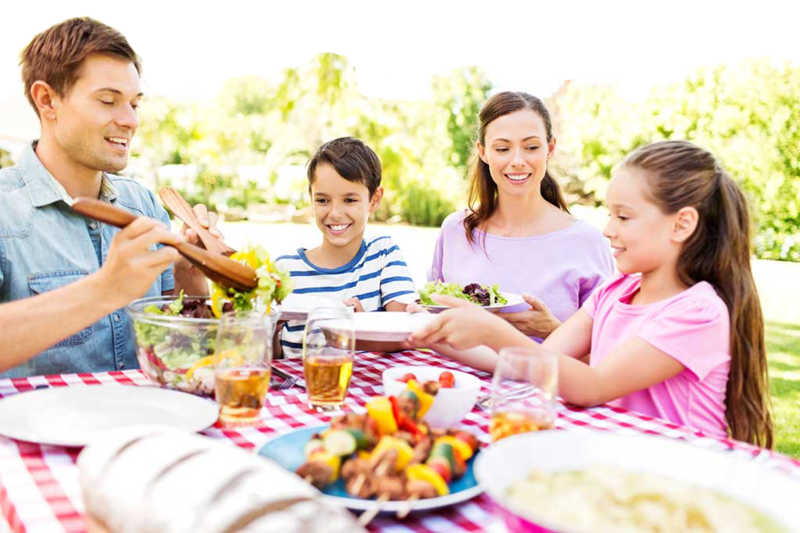 Family meals are a great way to reinforce the Reliv values and put an emphasis on making better choices for a better quality of life. Sitting down together at the table is associated with improved dietary intake among all family members, not just the kids. For example, several large studies have shown that regular family meals are strongly associated with increased consumption of fruits, vegetables, grains and other healthy food choices while also linked with lesser consumption of fried or fatty foods, soft drinks or less healthy food choices. By making the choice to have a family meal together, you are forming a realistic habit that you can maintain for life. Have a family meeting to discuss favourite meals, or new foods you all would like to try. One of our favourite family meals at the Reliv office is grilled salmon with roasted broccoli and sweet potatoes! Try to keep distractions out of family meal time such as mobile phones, computers, even the TV so that you can have quality time together. What’s your family’s favourite meal? Posted in Health and tagged family, healthy food, meals, Reliv, values. ← Why Win Your Way?